The idea of breakfast has changed. With the convenience of portable foods, the ubiquity of QSRs, and an aisle that’s overwhelming, moms have fewer reasons to feel something for a cereal. Giving without expectation opens a world of good. By helping moms feel goodness that goes beyond the bowl, we aimed to increase consumption and drive sales by increasing happiness, not media spend. 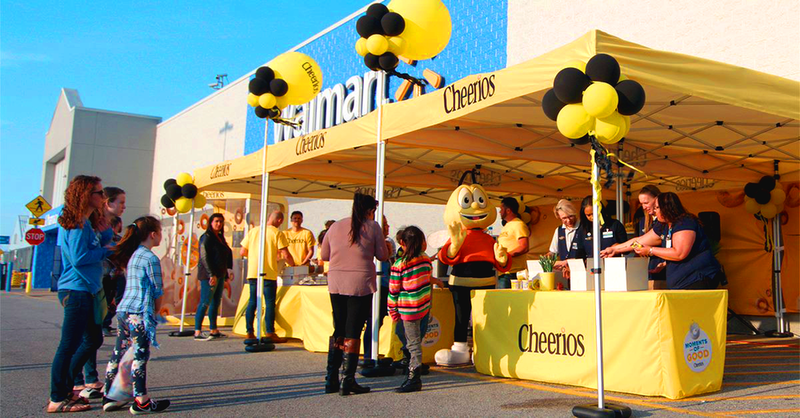 interactive pop-up events and experiences that rewarded Walmart shoppers and those who were doing good in their local communities. The Moments spanned categories such as education, military and social give-backs, and created millions of sharable moments.